It's a well-established trend to have a franchise or a sequel as a meritorious follow up to a triumphant prequel. The year 2013 ended on a high, with the third installment of the lucrative DHOOM franchise rewriting the record books. 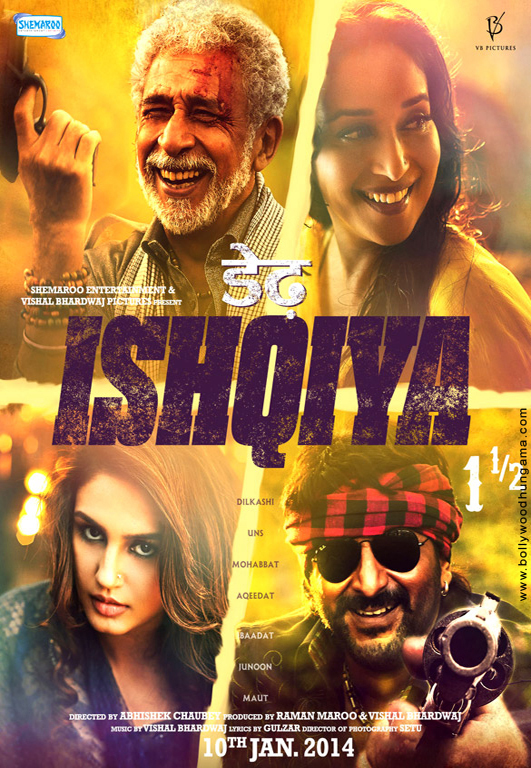 Now, in the second week of 2014, a sequel to the immensely likable ISHQIYA  is out to woo the spectators -- DEDH ISHQIYA. But unlike most franchises/sequels, which have an urban backdrop, DEDH ISHQIYA, much like its predecessor, is set in the hinterland, has an unassuming, homespun feel and an old-world charm to it. But let me make one thing clear: Cosmetically, the two films may be in the same space, but the stories are in sharp contrast to one another. 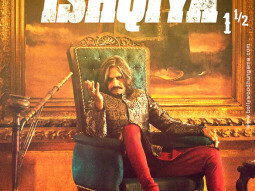 Abhishek Chaubey created an out of the ordinary world in his directorial debut ISHQIYA. The tale of a love-lorn and ruthless woman Krishna [portrayed by Vidya Balan], who uses Khalujaan and Babban to settle scores, caught the attention of cineastes for varied reasons. Besides a differing plot and an enthralling screenplay, that film had wit, conspiracy and romance that was so unconventional and individualistic on the Hindi screen then. DEDH ISHQIYA continues the escapades of Khalujaan and Babban, but the duo has the extremely desirable, sophisticated, but a secretive woman [Begum Para] and her confidant [Muniya] for company. In addition, while the first part was a love triangle, with both Khalujaan and Babban falling in love with Krishna, DEDH ISHQIYA has two love stories running concurrently. 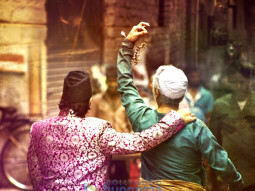 ISHQIYA was sharp, spicy and volatile, with impulsive characters and a storyline taking a somersault every few minutes. DEDH ISHQIYA is no different. It transports you to a diverse world, but like the first part, this one focuses on love and deceit as well. Also, it's far more complex this time around... and the truth hits you like a ton of bricks! 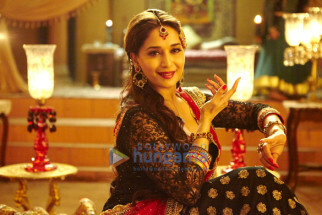 Begum Para [Madhuri Dixit-Nene] of Mahmudabad is hosting a festival of poetry and music in her mansion. The country's best poets are in town. Khalujaan [Naseeruddin Shah], posing as the Nawab of Chandpur, is participating as a poet in the festival. He is not there merely to show off his poetic wares, but to impress the widowed Begum who, as the grapevine suggests, is scouting for a husband -- preferably a poet. 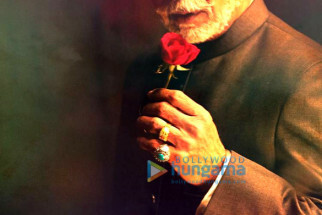 Unlike the promos of the first part, which communicated quite a bit about the film, the promos of DEDH ISHQIYA maintain the element of mystery around the characters and its plot. Sure, one is familiar with Khalujaan and Babban, but the new characters that Abhishek Chaubey introduces us to in DEDH ISHQIYA -- Begum Para and Muniya specifically -- are shrouded in secrecy/ambiguity. While ISHQIYA was earthy and rustic, one gets to witness an alternate universe in DEDH ISHQIYA. There's a lot of poetry, music and color this time around. At the same time, there are layers to the story that baffle you. Garnished with chaste Urdu and peppered with unconventional humor and simmering sexuality, the characters indulge in a treacherous game yet again. This time, it's even more dicey and perilous. Abhishek Chaubey deserves colossal admiration for taking the story forward by retaining some characters and adding several new ones. The screenplay is capricious and unpredictable, imparting a flavor that's distinct and one you most certainly haven't experienced heretofore. Also, a section of the audience may find the chaste Urdu a tad strenuous to comprehend [although the sub-titles make it quite effortless to decipher], but come on, when you have a film based in Punjab or a South Indian state, the essence of that sector has to come to the forefront, right? The music [Vishal Bhardwaj] is a sore point and one misses winsome tracks like 'Dil To Bachcha Hain Ji' and 'Ibne Batuta' from ISHQIYA. This film deserved an entrancing score, also because the emphasis is on poetry this time. Dialogue, also penned by Vishal Bhardwaj, are the mainstay and the backbone of the enterprise. The lines are loaded with wit and the usage of Urdu is prudently juxtaposed in several sequences. The DoP captures the old-world charm wonderfully well and the visuals are absolutely stunning. Expectedly, Naseeruddin Shah is supremely efficient as Khalujaan. Getting into the skin of the character, the actor gives it all to the film, delivering a performance that's sure to be recalled amongst his premium works. 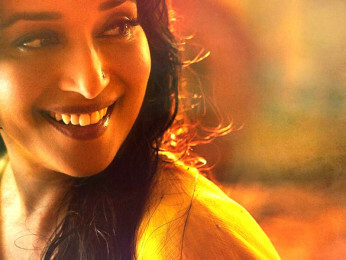 Matching Naseer is Madhuri Dixit-Nene, a powerhouse of talent. Cast in an unconventional role, it's a colossal leap for the actress who has several power-packed performances in her repertoire. She also deserves kudos for opting for an unconventional, avant-garde character, which will only win her tremendous admiration and honour in times to come. Arshad Warsi is in terrific form yet again. The actor, a spontaneous performer, wows you with his brilliant act. In fact, Naseer and Arshad are a delight to watch in several sequences, with both complimenting each other from commencement to conclusion. Huma Qureshi is fantastic and if one were to say so, catches you with complete surprise. Her sequences with Naseer, Madhuri and Arshad reiterate that she can stand on her feet, despite being pitted against top notch actors. Yet another performance that stays with you is that of Vijay Raaz. One of the finest talents around, I am sure, DEDH ISHQIYA will make the film fraternity realize that you cannot ignore him for long. Salman Shahid is top notch in a cameo. 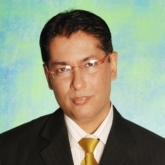 Ravi Gosain does a decent job. Manoj Pahwa registers a solid impact. 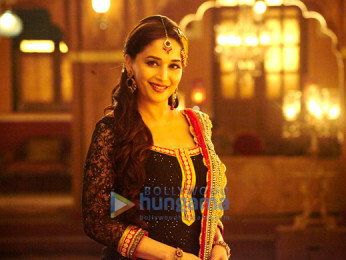 On the whole, DEDH ISHQIYA is a worthy follow up to the widely admired ISHQIYA. Powerful writing, superb direction and outstanding performances make DEDH ISHQIYA a must watch. Just don't miss it!